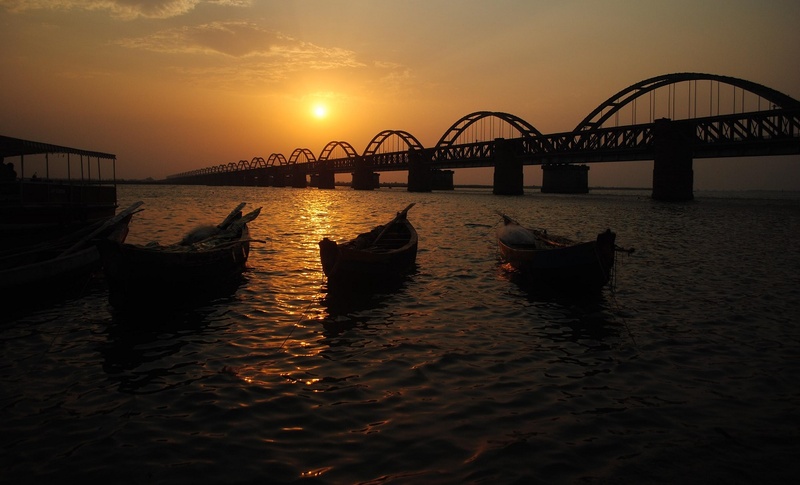 Andhra Pradesh is a state bordering India’s southeastern coast. Major cultural landmarks include Tirumala Venkateswara Temple, an ornate hilltop shrine to Hindu’s Vishnu, in the southern part of the state. It’s visited by tens of millions of pilgrims annually. The major northern port of Visakhapatnam has popular beaches like Ramakrishna and Rishikonda lining the Bay of Bengal, offering spots for swimming and surfing. Andhra Pradesh is one of the 29 states of India, situated on the southeastern coast of the country. The state is the eighth largest state in India covering an area of 160,205 km2 (61,855 sq mi). As per 2011 census of India, the state is tenth largest by population with 49,386,799 inhabitants. On 2 June 2014, the north-western portion of the state was bifurcated to form a new state of Telangana. In accordance with the Andhra Pradesh Reorganisation Act, 2014, Hyderabad will remain the de jure capital of both Andhra Pradesh and Telangana states for a period of time not exceeding 10 years. The new river-front proposed capital in Guntur district is Amaravati, which is under the jurisdiction of APCRDA. The Gross State Domestic Product (GSDP) of the state in the 2014–15 financial year at current prices stood at ₹5,200.3 billion (US$77 billion) and ₹4,641.84 billion (US$69 billion) in the 2013–14 financial year. The state has a coastline of 974 km (605 mi), the second longest among all the states of India after Gujarat. It is bordered by Telangana in the north-west, Chhattisgarh in the north, Odisha in the north-east, Karnataka in the west, Tamil Nadu in the south and the water body of Bay of Bengal in the east. A small enclave of 30 km2 (12 sq mi) of Yanam, a district of Puducherry, lies south of Kakinada in the Godavari delta to the east of the state. There are two regions in the state namely Coastal Andhra and Rayalaseema. These two regions comprise 13 districts, with 9 in Coastal Andhra and 4 in Rayalaseema. Visakhapatnam is the largest city and a commercial hub of the state with a GDP of $26 billion followed by Vijayawada with a GDP of $3 billion as of 2010.